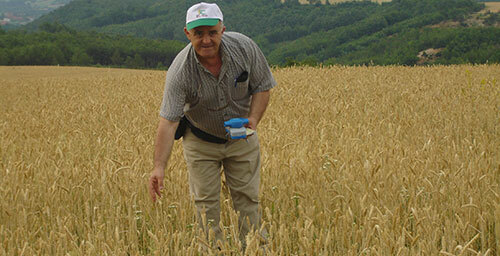 Agronomic Aid Since 2009: Mercy-USA for Aid and Development, with support from a local milling company Miell Tirana, is assisting wheat farmers in Albania and Kosovo. The farmers are provided with seed and fertilizer, as well as technical training and business and marketing skills. Turning Sustenance Farming into Profitable Farming with Micro-Financing: In 1996, Mercy-USA began supporting family-based agricultural businesses by providing small interest-free loans. Small farmers have received loans to purchase sheep, dairy cows, beehives, water pumps and materials to build greenhouses. Also, small dairy product manufacturers have received loans to purchase new equipment to upgrade and expand their production capacity. Together, these projects not only assist the direct recipients of the loans, agricultural inputs and training but also allow them to expand and employ more persons, increase their demand for services and products from local vendors, and, in general, help to stimulate the economy within their communities. Partner with Mercy-USA to make a difference between sustenance farming and farming that benefits the entire community.